Note: Track 13. 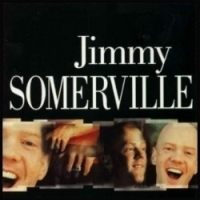 "In My Dreams" is not by Jimmy Somerville. An error has crept in. "In My Dreams" comes from the Bronski Beat album "Truthdare Doubledare and sung by John Jøn. 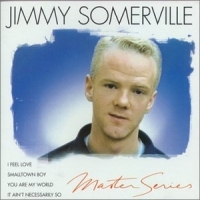 "Smalltown Boy" written by Somerville / Steinbacheck / Bronski , Produced by Mike Thorne , Mixing Engineer Harvey Goldberg at Maison Rouge , Cole Lawrence Charles / Bucks Music Ltd. / EMI Virgin Music Ltd."I feel Love"- written by Moroder , Bellotte , Summer - George Gluck M. / Rocket M. Ltd. / EMI Music Pub Ltd. "Johnnie remember me"- written by Goddard - Southern Music Produced by Mike Thorne , Mixing Engineer Harvey Goldberg "You are my World" written by Somerville / Coles , Produced by Mike Thorne , Bronski M. / William A. Bong Ltd. / C.Control "Tomorrow" written by Somerville / Coles , Produced by Stephen Hague , Recorded at Advision "Heavens Above" written by Somerville / Coles , Produced by Mike Thorne , published by Rowmark Ltd. / William A Bong Bong Ltd. / Mistramark Ltd. / Rocket Music Ltd. "Close to the Edge" and "Heatwave" written Somerville / Steinbacheck / Bronski , Mixed by Harvey Goldberg , Cole Lawrence Charles / Bucks Music Ltd. / EMI Virgin Music Ltd. "It Ain't Necesarily So" written by George & Ira Gershwin , Produced by Mike Thorne , Mixing Engineer Harvey Goldberg at Maison Rouge , Chappell Music Ltd. "Heavens Here On Earth (With Your Love) " written by Jimmy Somerville , Produced and Mixed by Stephen Hague , © Rownmark Ltd. / William A. Bong Ltd. / Zomba Music Publishers Ltd. " If I could tell you " written by Somerville / W. H. Auden - by Rownmark Ltd. / William A. Bong Ltd. / Faber Ltd. Produced by Stephen Hague "Zing went the Strings of my Heart" written by James F. Hanley , Produced by The Communards , Mixed by Dominic Maita Chappell Music / Redwood Music / Warner Bros. Music "Perfect Day" written by Jimmy Somerville , Produced by Jess-E / Avril Mackintosh , Mixed by Stephen Hague , © Rownmark Ltd. / William A. Bong Ltd. / Zomba Music Publishers Ltd. "In My Dreams" written by Steinbacheck / Bronski / Jon , 1986 Zomba Music Publishing Ltd. "Don't Know What To Do (Without You)" written by Jimmy Somerville , Produced by Pascal Gabriel , Mixed by Stephen Taylor & Pascal Gabriel , © Rownmark Ltd. / William A. Bong Ltd. / Zomba Music Publishers Ltd.